Hi there! 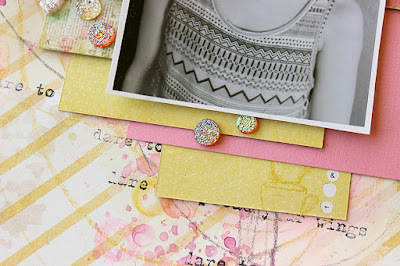 Yesterday there was some watercolor fun at Prima's blog (link). I did this page for the post and played with the Prima watercolor pencils. I've had some in the past but somehow I didn't fell for them previously. Now that I have had the Prima versions for some time, I'm hooked! Those watercolor pencils are really versatile! You can color, draw and paint with them but also stamp. In my page I used the pencils in a few ways. I used happy colors that make me think about summer and gave the page a lot of room to breathe as I think watercolor elements need some white space to really work gorgeously. 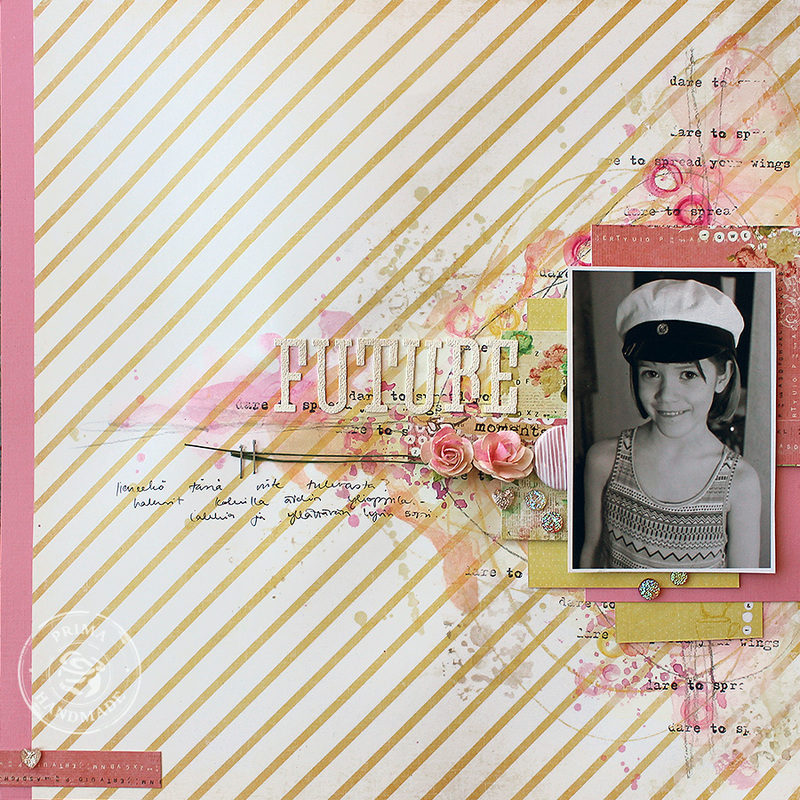 If you want to see the step-by-step tutorial of this page, please visit the original post in Prima's blog (link)! There's also another wonderful tutorial by Robbie Herring! 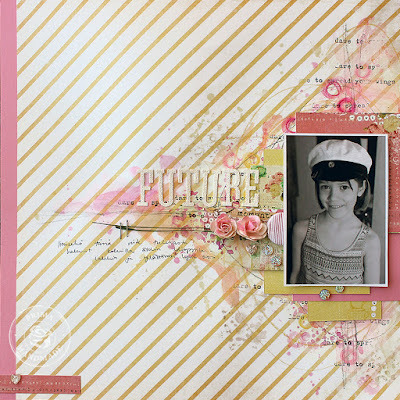 The topic of the page is my older daughter who wanted to try my matriculation cap (Finnish graduation cap). She looked so happy wearing it that I just had to take a photo and ponder if that's a scene from the future. I'm open to whatever she want's to do and study but what took me by surprise was the size of the cap - it fitted her surprisingly well! I guess I just have a small head then! So great that you visited my blog today - thank you! Have a lovely day! 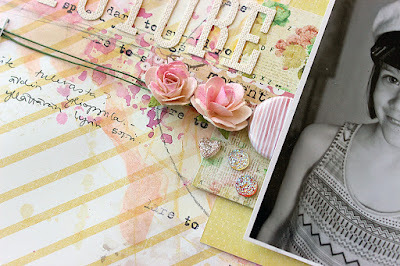 Don't forget to see the tutorial at Prima's blog! 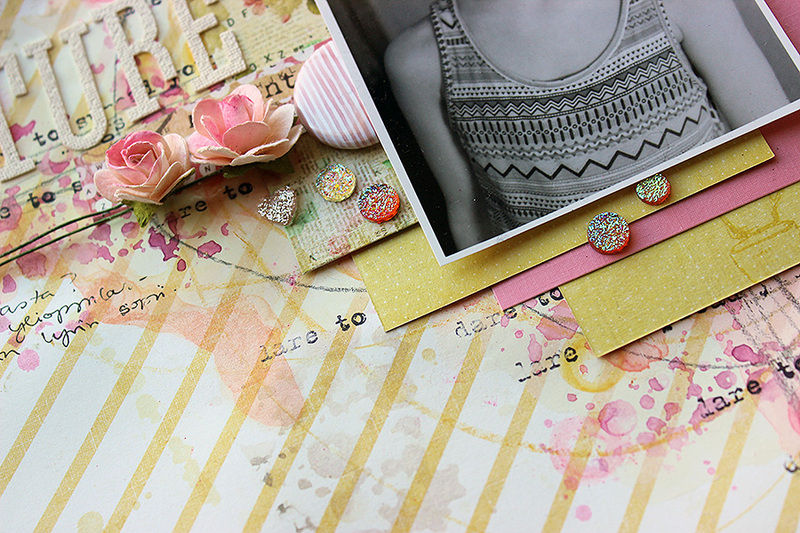 Gosh Riikka - this is stunning! I love your use of the watercolour pencils - they make such a beautiful finish. I simply adore your style...I always love watching your videos, thank you! This layout is absolutely beautiful, so delicate & pretty.